Malaysia Airlines is the national carrier of Malaysia and one of Asia's largest, serving 40,000 guests on 330 flights to more than 50 destinations daily. Malaysia Airlines operates flights from its home base, Kuala Lumpur International Airport, and offers great connectivity across the globe; including oneworld® hubs. 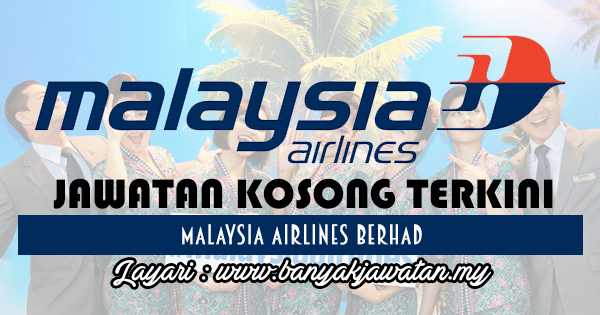 0 Response to "Jawatan Kosong di Malaysia Airlines Berhad - 7 January 2018"